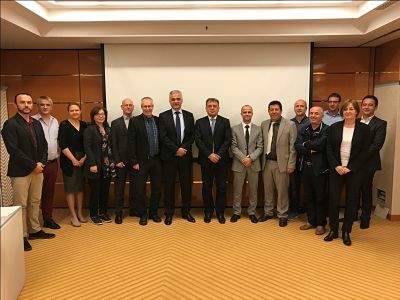 Mr. Dritan Prifti, Head of the Remote Sensing Sector at ASIG, attended the Disaster Risk Assesment and Mapping Project Steering Committee meeting, held on 15 November 2018 in Ljubljana, Slovenia. This activity was attended by heads of civil protection agencies, risk management and disaster management institutions as well as representatives from institutions that have a key role in the implementation of this project. 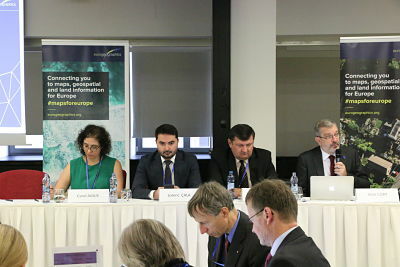 Heads of the State Authority for Geospatial Information, Mr. Lorenc Çala General Director, Mr. Kristaq Qirko head of the Geodesy and Cartography Directory, Mr. Klaudio Çollaku, head of the National GIS and Geoportal Directory participated in the General Assembly of Eurogeographics held on 07-10.10.2018 in Prague, Czech Republic. 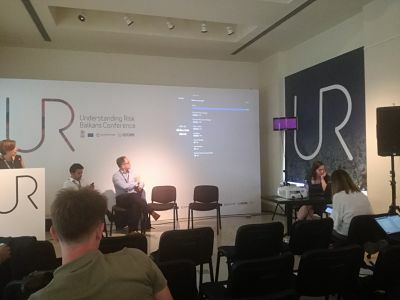 Participation in the workshop on "Understanding Natural Risks in the Balkans"
In the workshop on "Understanding Natural Risk in the Balkans", held on 17-19 September 2018, in Belgrade, Serbia, the State Authority for Geospatial Information was represented by Mr. Michel Millja head of Geoinformation Standards Sector . ASIG coordinator for IMPULS Project Mr. Dritan Prifti attended the meeting of the Steering Committee of this project which was held on 18.10.2018 in Zagreb, Croatia. 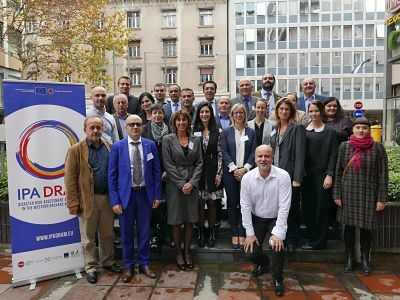 This meeting was attended by the heads of institutions responsible for geospatial data infrastructure of Western Balkan countries, part of this project. 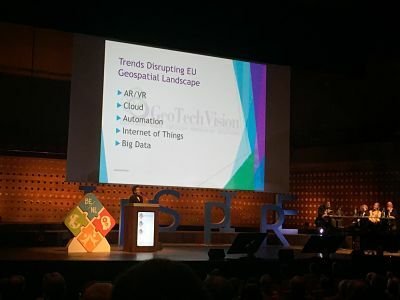 Representatives of the State Authority for Geospatial Information (ASIG) attended the INSPIRE 2018 "Inspire Users: Make It Work together" conference, held on 18-21 September 2018 in Antwerp, Belgium, under the auspices of the European Commission, the Netherlands and Belgium. In this conference were invited to participate the main contributors in the implementation of EU Directive 2007/2 / EC "INSPIRE" as well as private providers of digital technologies.